Learn in the shadows of great entrepreneurs and business leaders. Glean from their knowledge and life. Get first hand experience from experts that will save you money, time and energy in your business and life. James Chapman is Founder and CEO of Plain Sight, a company that allows people who work on-the-go to build professional connections with each other in gathering spaces. The company derived from him being a serial entrepreneur and his passion for helping budding entrepreneurs. Prior to Plain Sight, he worked with Rock Ventures to help Detroit-based entrepreneurs start, grow, and scale their businesses. This done largely through a $1M pitch competition, Quicken Loans Detroit Demo Day. 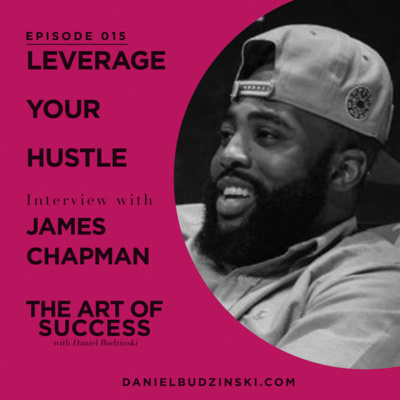 Prior to moving to Detroit from his hometown of Chattanooga he ran a workspace open in the evening hours (6pm – midnight) for side-hustlers that work full-time during the day. 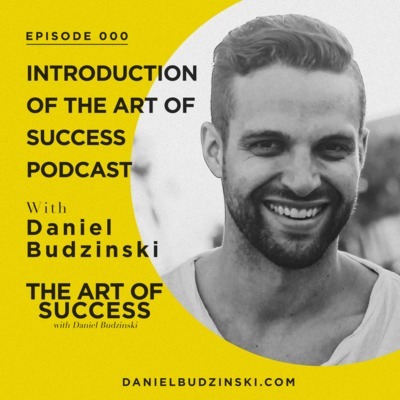 He is a published author of #TheHustle, and in 2014, he delivered a TEDx talk entitled Create a Culture of Selflessness. His first company launched was an oil change delivery company in 2013. James earned his bachelors degree in communications and marketing from Bluefield College. Prior to Hawke, Erik founded, grew and sold two successful ecommerce companies. Huberman is the recipient of numerous awards including Forbes “30Under30,” Inc. Magazine’s “Top 25 Marketing Influencers,” and Best in Biz North America’s “Marketing Executive of the Year.” A regular contributor to major publications like Forbes, Entrepreneur and CS Q, Huberman is also a well-known keynote speaker. 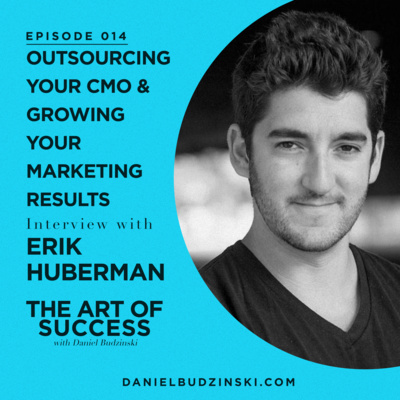 Erik Huberman is the founder and CEO of Hawke Media, the fastest growing marketing agency in the United States. Launched in 2014, Hawke Media has serviced over 1000 brands of all sizes, ranging from startups like Tamara Mellon, SiO Beauty and Bottlekeeper to household names like Red Bull, Verizon Wireless and Alibaba. Hawke Media has taken home numerous industry awards including inclusion on the Inc. 5000 2017 list of “Fastest Growing Companies”, Fortune Magazine’s “50 Best Workplaces in Southern California” and Forbes’ “Content Marketing Companies to Check Out in 2018. 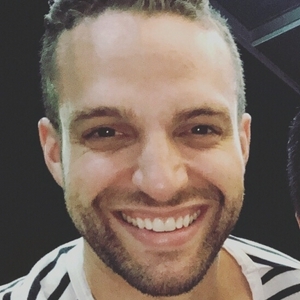 Mark Varughese is the Senior Leader of Kingdomcity – a growing, vibrant church of over 20,000 people in 7 countries and in 11 cities: Johor Bahru, Kota Kinabalu, Kuala Lumpur, Kuching & Penang in Malaysia | Perth, Australia | Phnom Penh, Cambodia | Singapore | Gaborone, Botswana | Dubai, United Arab Emirates – London, United Kingdom. He loves God wholeheartedly and is passionate about church yet took a very different path to get there. Mark was born in Singapore in April 1975, raised in Malaysia, from parents of Indian descent but grew up in Perth since 9. He completed his Bachelors of Law and Commerce in UWA and practiced as a lawyer for 5 years before answering the call of God to full time ministry in 2003. After his ‘burning bush’ experience in 2005, he went to Malaysia in Feb 2006 to pioneer what has today become Kingdomcity. Mark has a big heart for people of all cultures and all ages and are most passionate about seeing the cities of our world impacted by God through the local church. With Kingdomcity located in first world, developing world and third world cities in Western, Asian, African and middle Eastern contexts, the heart to ‘make disciples of all nations’ is taking shape. Blessed with incredible leaders that have been raised, discipled and empowered in each city, the mandate to ‘bring the kingdom to each city’ is what continues to fuel their journey. Mark has a beautiful wife Jemima & 2 energetic, growing sons, Zeke and Caleb. In 2016, Francisco Domenech once again managed Hillary Clinton's successful primary campaign in Puerto Rico. After which, Mr. Domenech sat on Hillary Clinton's presidential campaign National Finance Committee to assist in organizing her campaign trip to Puerto Rico for the 2016 election cycle. Francisco Domenech is a twice graduate of the University of Puerto Rico, Rio Piedras Campus. Mr. Domenech has a B.A. in Political Science, and his Juris Doctor. During his time at the University of Puerto Rico, Francisco was President of the General Student Body Council, as well as an Academic Senator before the UPR Rio Piedras Campus Academic Senate. Francisco Domenech also served as Representative Jenniffer Gonzalez campaign manager during her historic run to become the first woman to hold the Resident Commissioner of Puerto Rico seat in Washington, D.C. On November 8, 2016, and after 14 months of campaigning, Domenech successfully led a campaign team that made history by electing the first woman and youngest person to represent Puerto Rico in the U.S. Congress. Dan Micic is the CEO and founder of one of the country's leading medical supply companies, Medical Shipment. Dan started Medical Shipment in 2007 and has grown it to be the multi-million dollar business that it is today. Medical Shipment has been on the Inc 5000 list 3 years in a row and is building its success one shipment at a time. Malcolm CasSelle is an entrepreneur the CIO of OPSkins and the President of WAX (Worldwide Asset eXchange). Prior to WAX, CasSelle served as CTO and President of New Ventures at Tronc, Inc. (formerly Tribune Publishing). Prior to Tronc, Inc., he was Senior Vice President and General Manager, Digital Media of SeaChange International. He joined SeaChange International in 2015 as part of the company's acquisition of Timeline Labs, where he served as CEO. Previously, CasSelle led startups in the digital industry, including MediaPass, Xfire and Groupon's joint venture with Tencent in China. He has also been an active early stage investor in companies including Facebook, Zynga, and most recently Bitcoin-related companies. Educated at The University of Chicago, Glen has lived in six countries and worked in 32 during a 20 year career with his previous employer. He has lead and transformed businesses with over 17,000 employees and $15bn in assets. His activities have included start-ups, divestitures, mergers and acquisitions, integrations, downsizing, new market entry and exponential growth. A few roles that can describe Glen are: global business executive, investor, writer, entrepreneur, mentor and leader. He is passionate about leadership development, strategy, capital market, business transformation and growth with each person he works with. 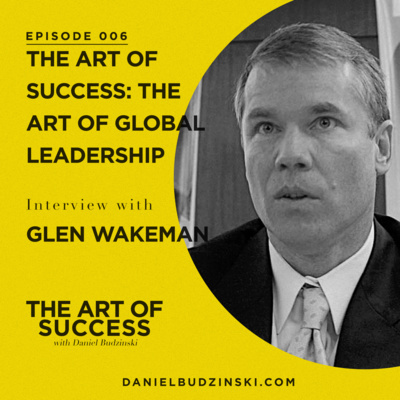 The Art of Success hosts Glen to share his insight on the art of global leadership. Glen is the CEO and founder of LaunchPad. "LaunchPad is truly the capstone of my career as it has helped me synthesize decades of learnings across several continents and dozens of business situations and offer those lessons to developing entrepreneurs. Ed lives and leads our creed to “share fitness”, driving national partnerships, business development opportunities, and fundraising. 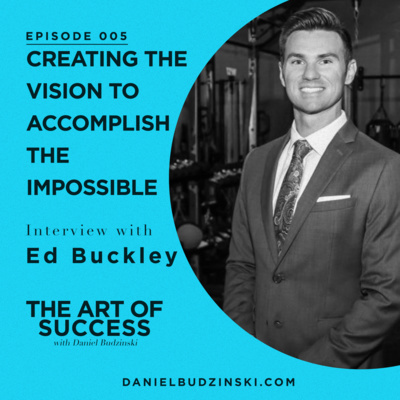 With nearly 10 years in the fitness industry, and a background in digital health behavior research, Ed continues to push the envelope on innovation in the fitness-technology space. He is passionate about designing new ways to drive engagement and help deliver flexibility and personalization to the health and wellness marketplace. If you’ve met Ed, he’s probably invited you to an interval class. Ed holds a PhD in Digital Health Behavior, and a Master's of Public Health, from the University of Florida. Matt Romine is an artisan butcher shop in Ferndale, Michigan. Co-owner of Farm Field Table. They offer the best cuts from the whole animal, make ordering quick & convenient, give people a fair price, insist on quality. No Hormones, No Antibiotics, Non-GMO, No Added Nitrates.They pride ourselves on sourcing only the finest local products including Michigan Wagyu beef, dry-aged steaks, heritage pork, free-range chickens, lamb, goat, duck, and rabbit. Serving best Detroit restaurants, that's they’re client list. Founders (Prasanth Chilukuri and Sunil Patel) of Tekmetric, a shop management system launched in February 2018, are working on additional features for credit-card purchasing and online parts ordering. The goal is to provide independent shop owners with a modern, all-in-one platform, Executive Vice President and CFO Prasanth Chilukuri said. Chilukuri and co-founder and CEO Sunil Patel started Houston-based Sparkplug Studios LLC in 2015 to work on a modern solution. They designed Tekmetric based on personal experiences and feedback from the industry. Patel and another co-founder run Motorwerks auto repair facilities in Houston and suburban Detroit. Tekmetric is cloud-based, based on Amazon Web Services and available for unlimited users per location. It works on any device with an Internet connection and includes invoice approvals through text messaging, photos of repairs, appointment and reminder scheduling with a built-in calendar, and workflow management features. Chris Burch is the founder and CEO of Burch Creative Capital, a firm based in New York City that manages venture investments and brand development, and co-founder of Tory Burch LLC. He became a billionaire in 2012, with Forbes magazine's profile of him in its annual The World's Billionaires stating that the 2012 valuation of Burch's majority stake in C. Wonder pushed his net worth over the ten figure mark. In addition to his personal investments, he was an investor with the Guggenheim Partners.